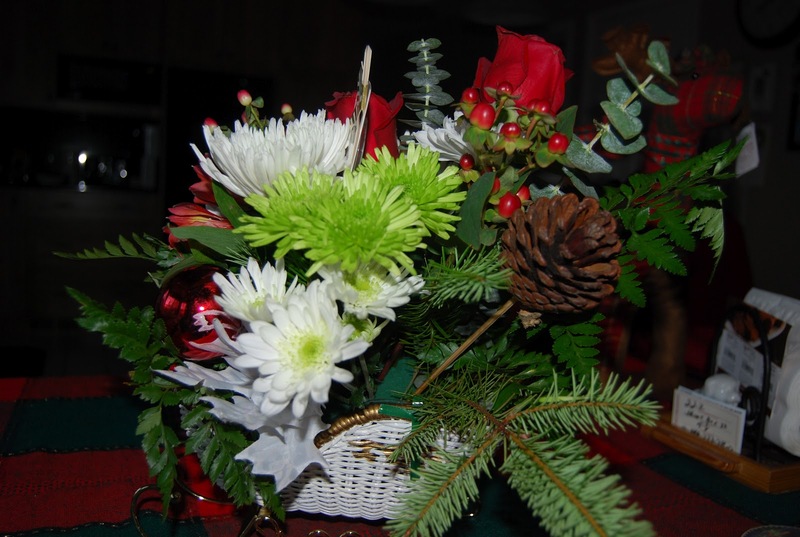 Just wanted to wish the Freedom Petals volunteer family a wonderful and blessed holiday season. Thanks to all who came to create the wrist corsages on 30 November... the dance was a huge success and the women loved them. Also thanks to all the volunteers who came on Friday, 7 December and yesterday to make the sleighs and holiday mugs for our Walter Reed Christmas delivery tomorrow, 10 December. We had 13 volunteers on Friday (I was watching my angel grand daughter) so I wasn't much help. 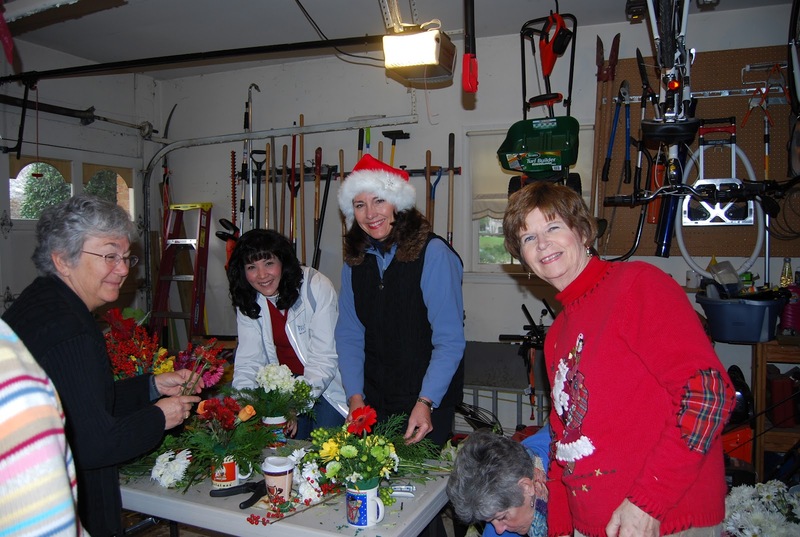 Thanks to Barbara for taking the lead and Nancy C. leading the garage team breaking down flowers with Elaine W. Thanks to Susan W., Suzanne K, Susan L, and Joyce. Thanks to Marilyn, Eileen and Eunice (my FP committed three) and thanks to Carla and Coleen for creating beautiful mugs and sleighs. The Saturday crew worked hard to finished the remaining mugs and a few sleighs. 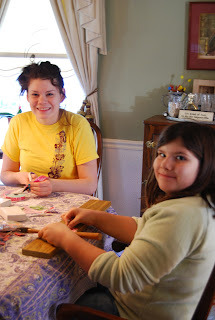 Mary Beth and her daughter Kathleen made 40 pens and 6o flags. 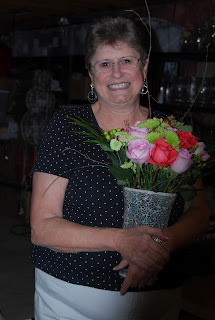 Maribel brought her husband Tony and he organized all the vases with Keith (my husband). The shelves are organized by size and color..thanks so much for a great job. Teena organized the florist cooler and moved all the shelves around again. She worked in the cold garage and cold cooler. Thanks so much. 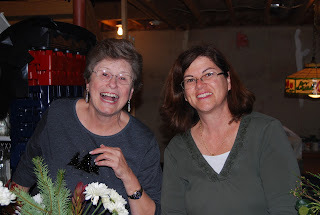 Thanks to Claire, Elaine W. Joan, Janice and her friend Pam. We were all done by 11:30 so everyone could finish their errands and holiday shopping. 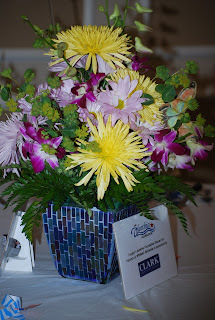 Thanks for all the vase, ribbon donations and financial donations to Freedom Petals this year. This is the final delivery of 2012, completing another year of bringing smiles and hope to our wounded warriors. See you all in 2013! November 30th 2012 "Date Night" event at the 'Warrior Cafe' in building 62 Walter Reed Bethesda, MD. Freedom Petals created 50 beautiful wrist corsages for the dance. We are confirmed for two final 2012 Flower Events. First the Alleethia Foundation is hosting a Date Night /Wounded Warrior Dance on the Walter Reed Bethesda base. We have volunteered to make wrist corsages for this wonderful occasion. Corsage making event is Friday, November 30th. We will start at 8:30 am (my house) and need to make 50 corsages. We are waiting for more details on the time we need to have them ready and where to deliver them. Anne from the Herndon Florist is teaching Barb and I how to make the wrist corsages so training will be given to all the volunteers. We may be asking for some supply donations once we find out what we need. 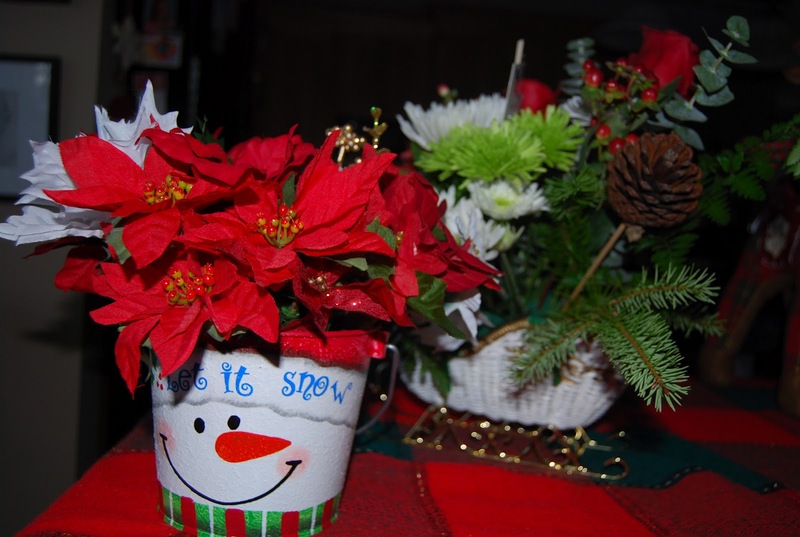 Our holiday WR hospital flower event will be the weekend of December 7th (Friday) and December 8th (Saturday). Same time 9am to 1pm on Friday and Saturday 9am till we are done. Please start collecting holiday cups for this event. We have gold and white sleighs for the nurses stations and for Fisher House. Please RSVP to this note of dates you can help and mark your calendars. 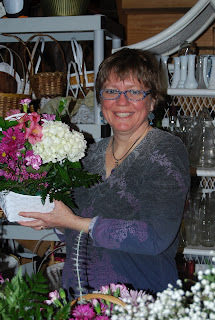 I want to thank all who volunteered last month and everyone who brings us wonderful vases and ribbon. Thanks to all who purchased Silpada Jewelry for our fundraiser. We raised $300 for Freedom Petals. We also received a check this month from the ever supporting Greenbriar Garden Club, one of our first speaking engagements when Freedom Petals was founded. Can't believe that summer is coming to a close and the kids are back to school. 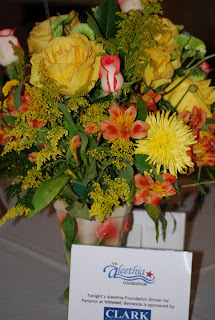 I also can't believe that FP is in its 3rd year of bringing flowers to our wounded and their families. You the FP volunteers are so talented and work very hard at our flower events. I wanted to thank all of you for giving your weekends and valuable time to this simple rewarding way to say thank you to our service members. What a journey this has been! 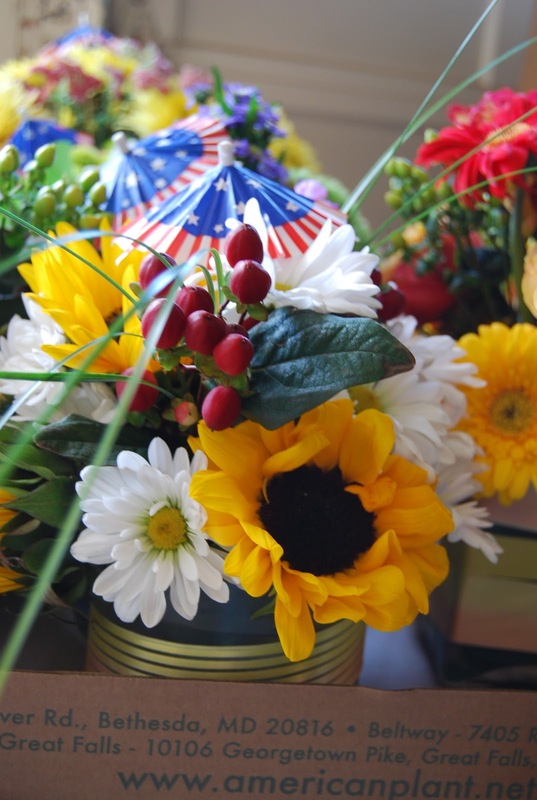 Freedom Petals has been blessed with many new opportunities to bring smiles to our wounded warriors. We are now creating beautiful flowers for the Alleethia Foundation dinners http://www.aleethia.org/ , this summer we supported a wounded warrior wedding - Herndon Florist http://www.herndonflorist.com/ donated a bridal bouquet and boutonniere and we are now taking lots of bouquets to Fisher House on the Walter Reed National Military Medical Center Base after we deliver to the Hospital. Our September flower event will be Friday, 28 September 9 am - 1 pm and Saturday, 29 September 9am until we are done. Please reply to this note if you can attend so I can plan accordingly. In October we will be supporting the Aleethia Dinner on Friday, 19 October. Flower Event will be Friday, 19 October at 9 to 1pm. only. Happy Summer. Since we last posted a blog spot in June, we have been busy supporting Wounded Warriors and their families with flowers. 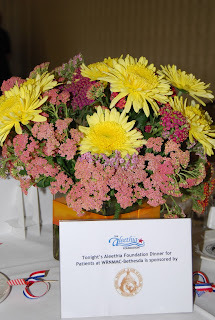 In July we made table arrangements for our second Aleethia Foundation Friday night dinner. It was held at the Rock Creek Mansion near Walter Reed Bethesda. Freedom Petals Volunteers Linda, Clare, Barbara, Joan, and Marilyn created 15 colorful table arrangments and 2 flower baskets for their drawing. The flowers made the room smell wonderful and the arrangements added a sunny happy touch as usual. We will be supporting the October 19th dinner in Arlington, Va. I received a thoughtful thank-you card to Freedom Petals from a wounded warrior family at Walter Reed. I was delighted with a picture they sent me of their children and Sean. I wish the family a speedy recovery and I'm so glad our flowers brightened their room. 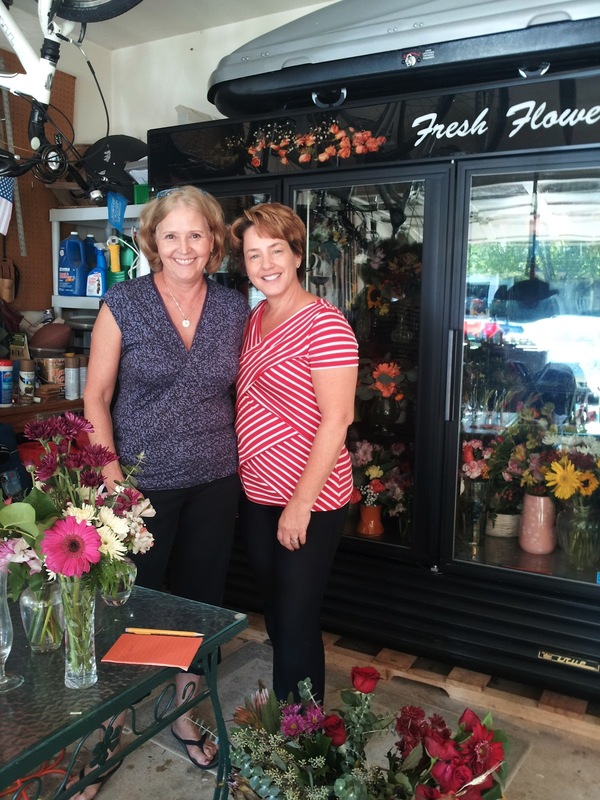 Today, 13 August is a special day for Marli and Nate and Freedom Petals was so excited to provide them with a bridal bouquet and boutonniere for their wedding. Anne Harvey my partner from the Herndon Florist donated the flowers to make this occassion so special with flowers. Thank-you to the Freedom Petals Family. 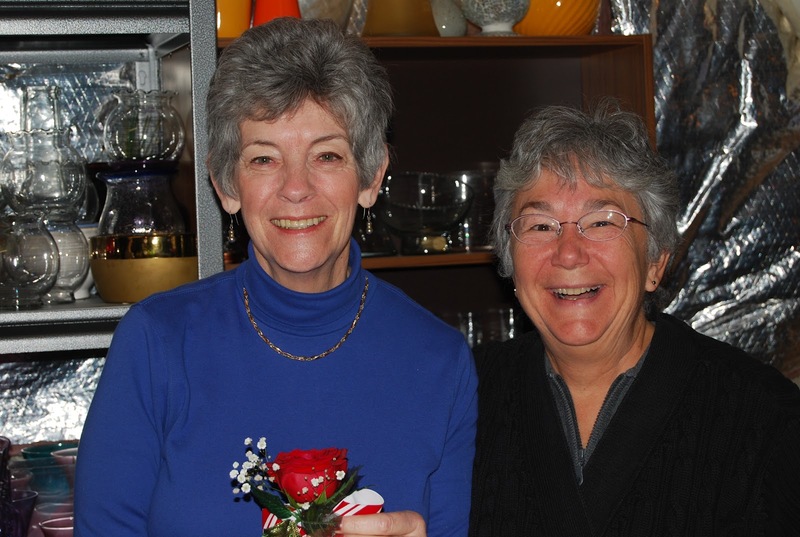 Thanks to Margaret and Barbara for getting us involved in this blessed event. 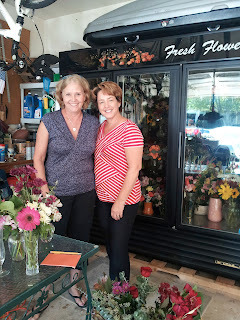 The June flower event started with a bang.....Lots of spoil flower donations from our partner Trader Joe's Reston, Fresh Yarrow and Mums donation from Anne Harvey (Herndon Florist), we just love her and some help on Thursday (Elaine and Nancy L.) to break down and condition the flowers for our special dinner event. 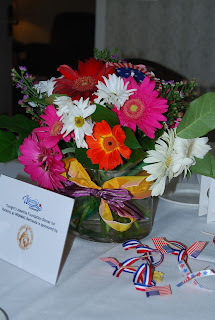 Friday volunteers created 13 table arrangements, two baskets (door prizes) and our trademark flags. Everyone worked very hard to finish all the glass cube vases for delivery that afternoon. We adorned each arrangement with donated flag parasols. It's funny I was told they had 12 tables but when I got there they told me they had 14 tables but had removed one. We made 13, go figure. Keith got so lost trying to find the Capital Hill Club......lots of closed roads in D.C. But when I arrived Margaret and the staff were ready for our arrangments. They serve a total of 130. The wounded warrior members and their families. This happens because of the Aleethia Foundation. They serve the members a free donner every Friday night in different venues in D.C. We are so excited to be part of this wounded warrior project. It's that time again, summer flowers in full bloom for our wounded warriors. We have a confirmed delivery for Monday, 18 June to Fisher House at Walter Reed Bethesda MD. and we are also going to support the Aleethia Foundation that provides dinners every Friday night to our wounded warriors in the Metro area. 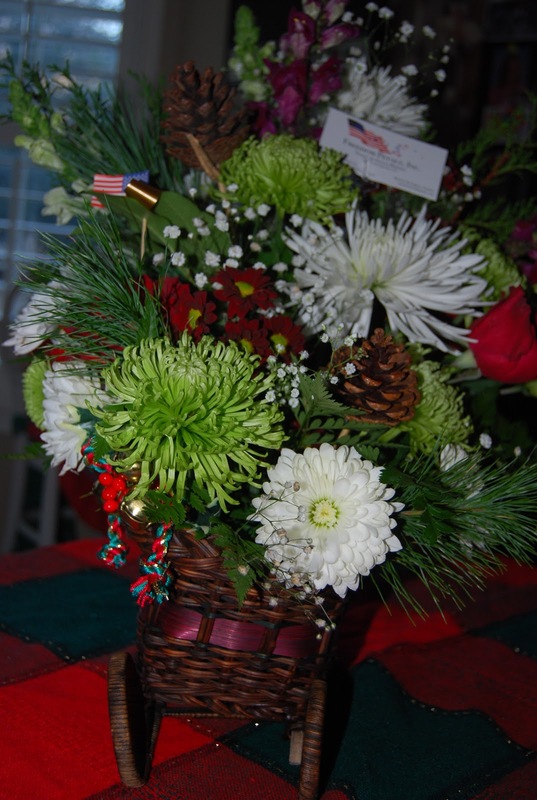 I promised them 12 table arrangements and a large basket for the door prize. The dinner is at the Capitol Club in SE Washington D.C., Friday, 15 June. So I will need some serious help on Friday. Friday, 15 June - 9-1 p.m.
Saturday, 16 June - 9-2 p.m. Please reply to my email with the days you can help. I am also asking, everyone coming to help, to bring a bouquet of flowers to supplement our supply (only if you can afford it). We always need ribbon, pens and silk flowers, too. Good news I have a plumber coming to the house on Tuesday to see how much it will be to install a large sink in the basement so we have water downstairs. NO more toting buckets up and down the stairs. Yahoo! Our May event was a huge success. 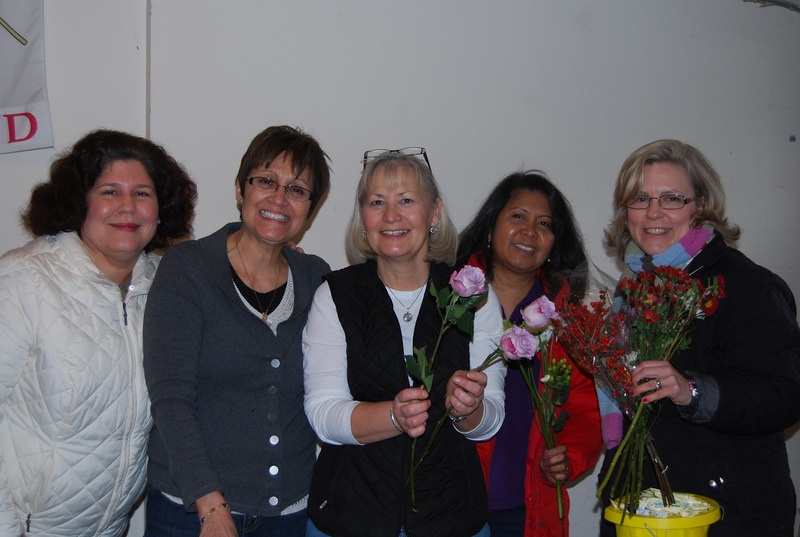 Thank you to all the volunteers that came to work with flowers on Friday and Saturday. Trader Joe's donated lots of beautiful flowers to Freedom Petals all week. 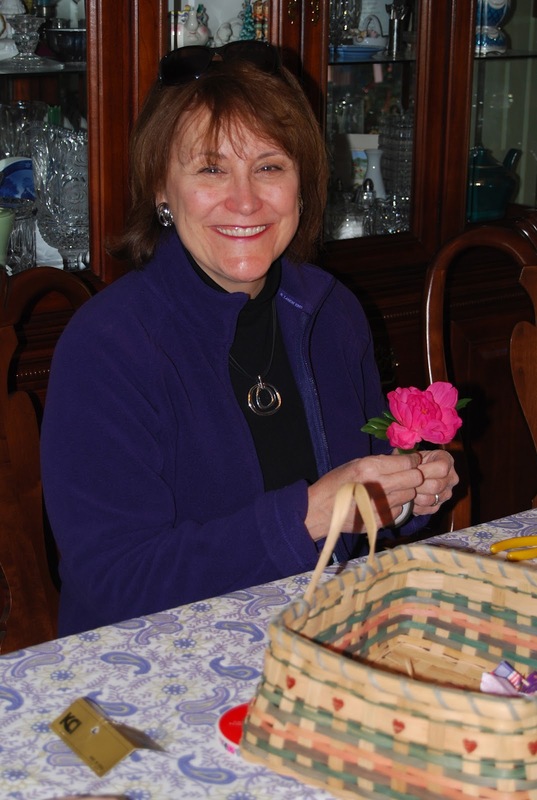 Ann Harvey from the Herndon Florist donated wires for the creation of Mother's Day corsages for the families staying at Fisher House in Walter Reed, Bethesda. On Friday, May 11th, 5 volunteers made the most beautiful corsages adorned with butterflies, Chrystal beads and polkadot bows. 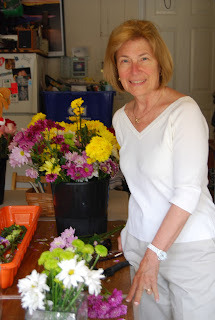 When Barb C. and I left at 1:30 for Fisher House I couldn't believe we completed all 60 corsages plus three vases filled with colorful Gerber daisies. Marcelo from the staff of Fisher House greeted us with a hug and a smile. He told us he would place 20 corsages in each of the three houses and took some our cards to put out on the front table. We asked him for a tour of the new facilities. We were so impressed and blown away at how beautifully decorated the houses are. Please check out their website! It is so comforting to know that our flowers are bringing smiles to the families of our wounded warriors staying at Fisher House. Gia who met us at the front lobby used to work at the Walter Reed in D.C. She was so happy to see us and told us that our arrangements were the most beautiful she had ever seen from Freedom Petals. I think that florist cooler has been Gods gift to keeping our flowers fresher for our delivery on Monday. Butterflies adorned our spring vases! 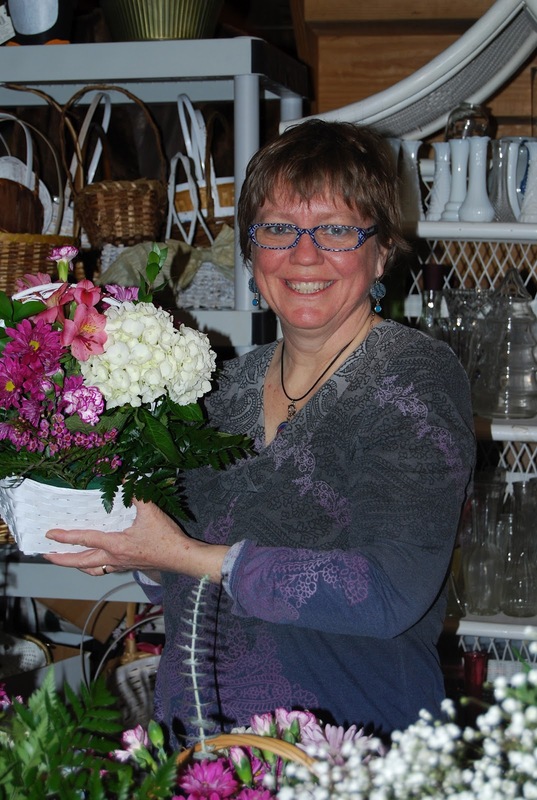 All the pots and vases are donated to Freedom Petals. The pots are from Edible Fruit arrangements. 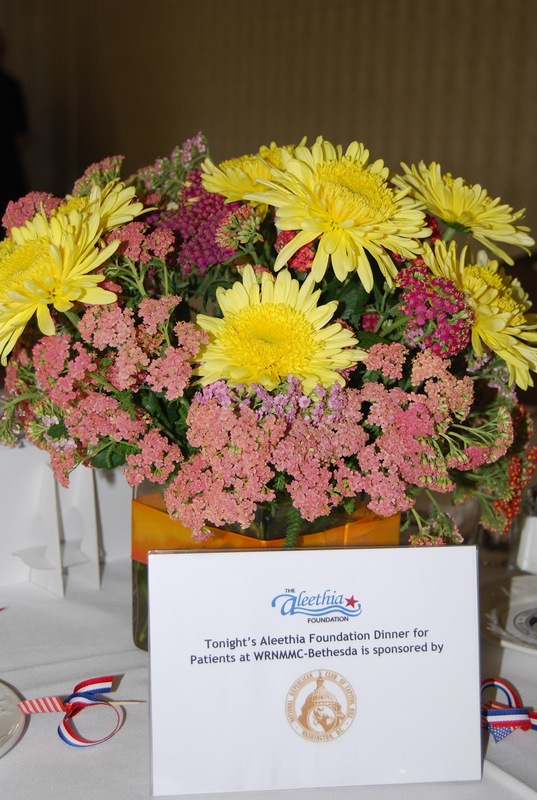 We delivered beautiful flowers to WRNMMC on Tuesday at noon. Our flowers brought lots of smiles and happy faces. The theme was tie a yellow ribbon, so we had yellow bows on all the bud vases. The nurses were beaming with our pens and everyone was enjoying the colorful arrangements that our volunteers created. In April we will be supporting the warrior wives once again. I will send out a list of items that we will need for their Easter Basket delivery. I've requested that the next Flower Event be Mother's Day weekend. I want to have a Friday flower creation morning to make corsages for Fisher House residents, that we can deliver that Friday afternoon on 11 May before Mothers Day. I will keep you posted on the next event dates and times. Pen and more Pens Lynn! 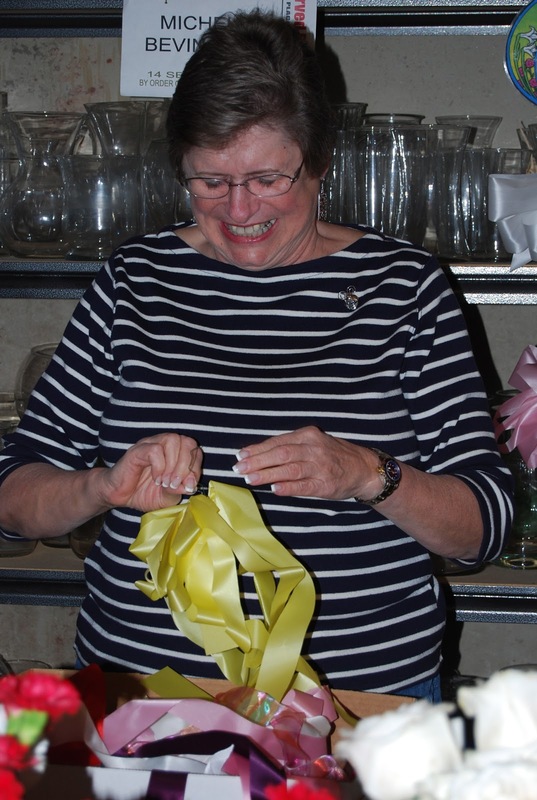 Barb struggling with yellow ribbon for our tie the yellow ribbon theme. We were a machine on Saturday making about 80 arrangements for our Wounded Warriors. There were plenty of flowers and greens to make the arrangements as well as a number of volunteers that came together, working hard to take flowers and turn them into something beautiful. 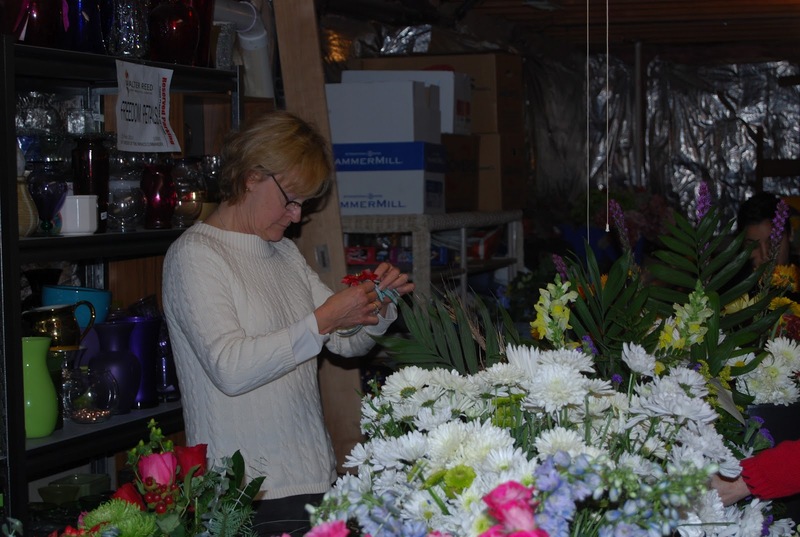 We made about 60 arrangements in bud vases with yellow ribbons for the Fisher Houses for Monday's delivery and a varity of other vases with yellow ribbons for the hospital on Tuesday. Time just flew by as we had conversations going amoung the volunteers that kept us entertained while working. I am not entirely sure what time they started (maybe around 8 am) but all was done and cleaned up by 1:30 pm and the flower cooler was full of wonderful arrangements. Michele had a sign in sheet for all of us and had a display of cookbooks for sell, thank you notes she has received, pictures on display and much more for us to look over before we left. There were also some young ladies there volunteering to make pens, flags and arrangements. 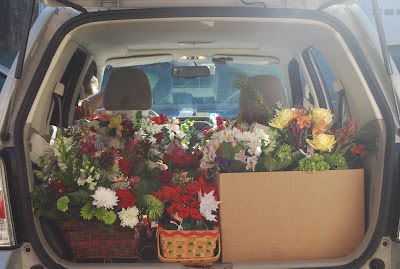 On Monday we filled the car with about 55 arrangement and set off at 9:02am to make our delivery. We arrived at the base at 9:35am, a record time. We were delayed at the gate for a few minutes, but Marcel, from the main Fisher House came to our rescue and we followed him to the delivery point. We delivered to the main Fisher House, setting all the arrangements in the kitchen there, talked to Marcel for a few minutes and were back in the car by 10:05am. As a result of the fast delivery, Michele and I decided to stop for breakfast on the way home. We normally stop for lunch. Bye the way, we are not going to have an April delivery due to the type of flowers we tend to get in the spring, but Freedom Petals is going to be involved in an Easter Basket event for the Wounded Warriors in April where we will help fill Easter Baskets with stuffed bunnies and items on their list. We will let you know what we donate to that cause. Wanted to share the picture that Rosemarie sent me of the baskets that the wives created and delivered to WRNMMC on Valentines Day. I talked with her today and she said it was a huge success and very emotional. They ended up making 62 baskets. Thank you to all my volunteers who added items for the baskets. I delivered items from Freedom Petals: 35 baskets, red ribbon, lots of valentine candy, red tissue paper, chrystal bracelets, Bath&Body anti bacteria lotion, valentine cards and other items to fill the baskets. The baskets really turned out so cool. So happy Freedom Petals could support this project! We started out early and arrived in Bethesda around 9:30am. Michele suggested that we go to Fisher House first and talk to someone in the office. We located the houses easily (there are three houses with about 30 rooms all together). We had a chance to drop off flowers and get the necessary information to possibly continue this service. Hurrah!!! After leaving there with our spirits boosted, we arrived at the hospital right on time and was greeted by Chris, our noted parking spot and a handcart. Chris helped us unload and we were off to deliver to our warriors. What a day! We ended up delivering every arrangement, had a great reception by everyone we saw and found that the staff and soldiers were actually, in some cases, waiting for us. I cannot tell you how happy Michele and I were when we left. We had a very successful delivery and we are so looking forward to our March delivery. I feel we have been so blessed by the staff that greets us at Walter Reed and the reception we are getting at Fisher House and the hospital. This is truly a ministry that puts smiles are many faces in need. Thanks to all who are supporting Freedom Petals in some way or another. There will be a flower delivery on Monday, 30 January and today was the start to make that delivery successful. 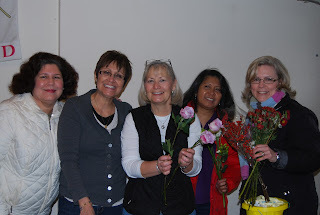 We had nine volunteers who made 50 arrangements and 30 valentine corsages and we managed to have some fun, too. We had buckets and buckets of donated by Trader Joes, Reston who has been a consistent partner in this endeavor. We also have wonderful volunteers who donate a number of vases consistently, which keeps us able to make these beautiful arrangements in all sizes and colors. On Monday, Michele and I are going to be looking at Fisher House and other properties on base where we can hand out our flowers. We look forward to a very successful delivery on Monday and hopefully a successful search. We will keep you posted on what we find and on our next event, which is in March 2012. 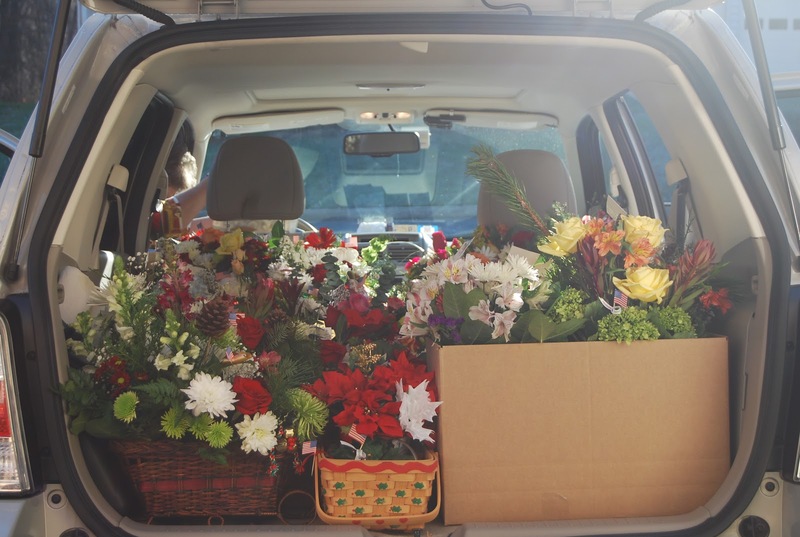 Michele and I started our delivery by putting beautiful Christmas arrangements in the back of my car. It was my first visit to Walter Reed Bethesda. It was actually an adventure for me just to find the place. Surprisingly it seemed like a very short drive and there we were entering the gates into a very different atmosphere than the Walter Reed of Washington D.C. They were ready for us with two carts, which we totally filled top and bottom with beautiful holiday arrangements. We entered the lobby and off we went to deliver them to our wounded warriors. The warriors, their families and the staff of the hospital were all very welcoming and seemed genuinely happy to receive our flowers. The flowers seemed to lift the spirits of everyone that we gave them to. I just want everyone to know how much I feel our deliveries mean to the families, the warriors and the staff. It certainly made my holiday that much more special to assist Michele in delivering the smiles to everyone.